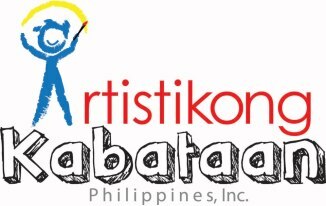 Artistikong Kabataan Philippines, Inc. is a non-profit, non-governmental organization, whose principal activities primarily consist of creativity, connections, charity, and cross cultural communications. We aim to activate leadership with a heart among the youth, connect young people, empower the youth of today in creating an impact to the society through a universal language which is Art. The organization has provided awareness to children to appreciate the worth of life outside poverty and other negative impacts in the society. The culture of the organization is multi-faceted. It promotes the 4 C’s: Creativity, Connections, Charity, Cross cultural communications. Creativity enhances our thinking and squeezes our creative juices as we gradually have more concepts in reaching our targets which are: to save lives, reduce child mortality, eradicate extreme hunger and poverty through education, awareness about cultures and the environment, and a full appreciation of the Human Rights. Connections is all about establishing relations and a well-rounded career for us- young people, as it values cross cultural communications as well. This is open to all nationalities. Every month, the social work that we conduct in Philippines includes people of other races. We let them explore the side of the Philippines. If ever we gain a partner abroad, imagine how much joy and abundance we would be able to share with the less fortunate especially in third world countries. Charity and commitment is the focal point of all of these effort and endeavor. This is a stress relieving activity as well, it makes happy hearts and minds and as well as happy faces.